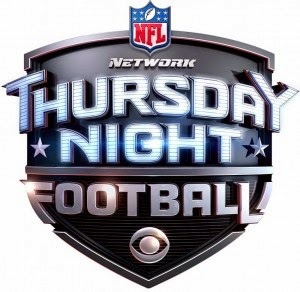 For the first time all season, we have two teams meeting up on Thursday Night Football, who are coming off wins. Hopefully this changes the fact that every TNF game so far has been 20+ point blowouts! The 2-2 Vikings will go into Green Bay and take on the 2-2 Packers in Lambeau Field. It's gameday but rookie QB Teddy Bridgewater is still a huge question mark. Reports are that the Vikings won't make a decision on whether or not he will start until 90 mins before kickoff. So if you play in a 20 man league or a 2-QB league, make sure you follow up on his status before kickoff. If Bridgewater does not play, than Christian Ponder will make the start. With that being said, Bridgewater might not be a great start against the Packers this week. Green Bay is ranked 5th against the pass this year, allowing just 214 yards through the air. However they are dead last against the run, giving up 176 yards on the ground. This plays right into the Vikings strength. Yes there is no Adrian Peterson but the Vikings have a 2-headed monster at RB. Last week against an awful Falcons defense, the Vikings ran for 241 yards on 44 carries. Matt Asiata is the teams starting RB and he carried the ball 20 times for 78 yards and 3 touchdowns. However Jerick McKinnon is the teams playmaker. McKinnon ran the ball 18 times last week for 135 yards. The Packers should have their hands full trying to contain these two guys. It will be interesting to see if the Vikings will get Cordarrelle Patterson more involved in this offense. So far he only has 17 touches (13 receptions) for 276 yards and 1 touchdown through 4 games. Also Greg Jennings must be dying to make a big play against his old team, as he was held to just 3 catches in 2 meetings last season. Aaron Rodgers and the Packers offense will face a middle of the pack Vikings defense, who rank 17th against the pass and 16th against the run. The Packers are coming off their best game of the season against the Bears, who they beat 38-17. Rodgers was nearly perfect, going 22/28 for 302 yards and 4 touchdowns. The Packers are tough to beat when Rodgers has time in the pocket and can find Jordy Nelson and Randall Cobb. The two receivers combined for 17 receptions, 221 yards and 4 touchdowns last week against Chicago. Look for those two men to be heavily targeted once again. I guess when you have Rodgers you really don't need a run game. Unfortunately for Eddie Lacy owners, that's been the case. Through 4 games Lacy has just 53 carries (just over 13 carries per game) for 161 yards (3 yards per carry) and 1 touchdown. To his defense he started the year against the Seahawks, Jets and Lions. This could be the week that Lacy does break out, especially if the Packers jump out to a big lead early.